The United States Department of Transportation requires businesses to comply with numerous rules and regulations when administering drug tests to employees. Often businesses believe they are exempt or do not have to comply with the DOT’s guidelines for testing. If you remain unsure, find answers before an incident occurs to avoid possible liability. Click here to check if the federal government requires your business to perform random drug screenings, by completing a five to ten minute online questionnaire.Once finished, you will know for certain what guidelines apply to your business and have the information available to become compliant. With the Department of Transportation’s upcoming changes to policy in 2018, It is important for all business owners to understand how this affects them. For example, the standard five panel test for DOT drivers expansion. Previously, the test checked for marijuana, cocaine, opiates (opium, codeine derivatives), amphetamines, methamphetamines and Phencyclidine (PCP) — but will now also include hydrocodone, hydromorphone, oxymorphone and oxycodone. 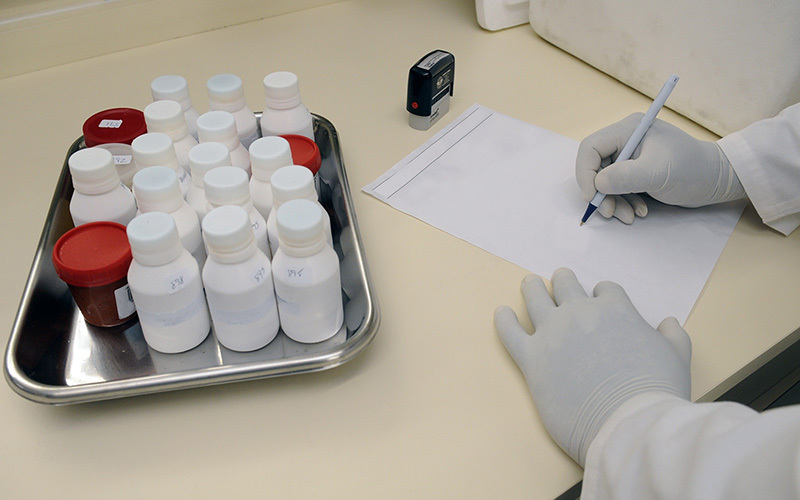 Whether your company falls under the DOT guidelines or not, the drug testing experts at Grand Slam Investigations are prepared to handle all your random drug testing needs.